The Club was returning from a 2 month Summer Hiatus. 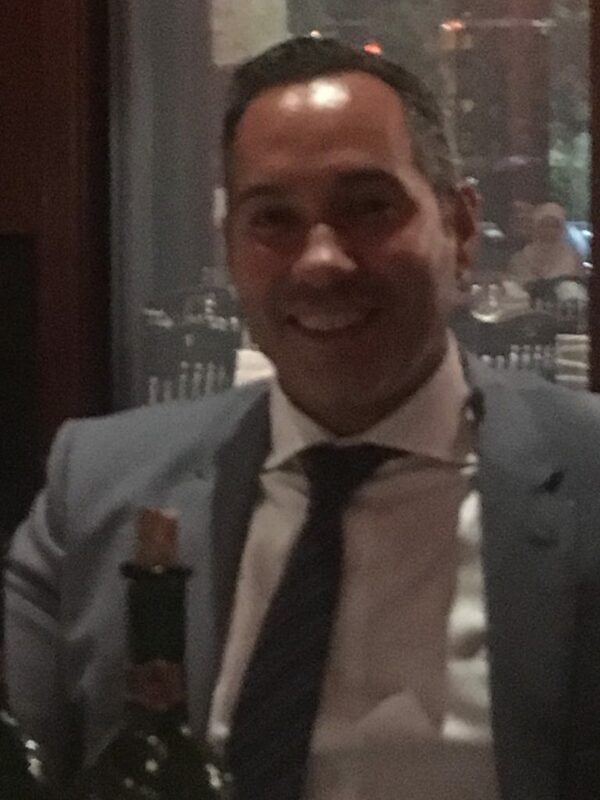 President Andrew Cohen carefully selected wines from Spain and combined it with the experience of Café Roval. One by one each member arrives. Some by foot and others from their exotic cars. 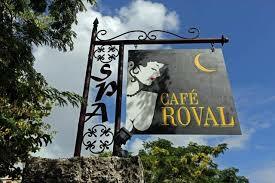 Café Roval https://www.caferoval.com is a restored 1936 coral structure. It feels as if you were entering a Moorish Home from the Alhambra Palace in Granda, Spain. No, not in Coral Gables. The high ceilings and collectible art creates the ambiance of history. Andrew makes the selection of food from the Club as we are not that picky as 8 hungry men. 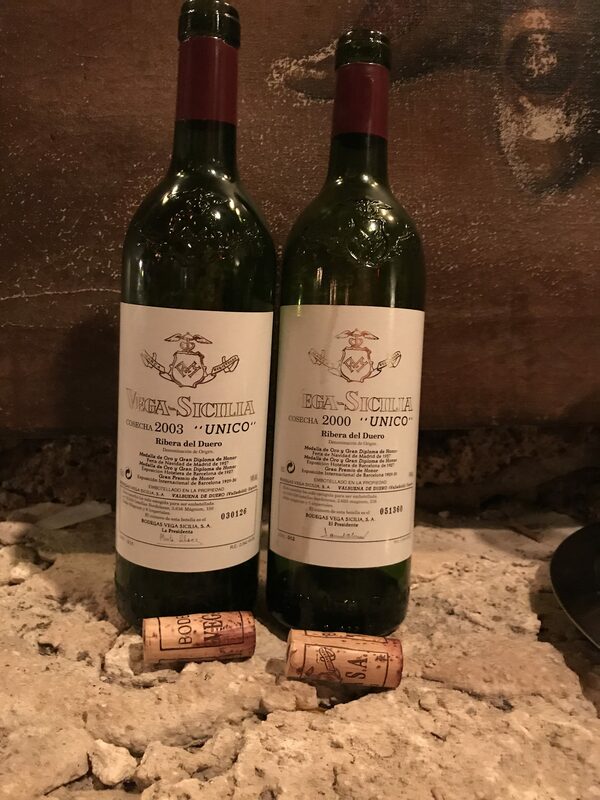 The first side-by-side was the ever so popular Vega-Sicilia Conescha “Unico”. A 2000 and 2003 vintages were in the glasses breathing slowly. 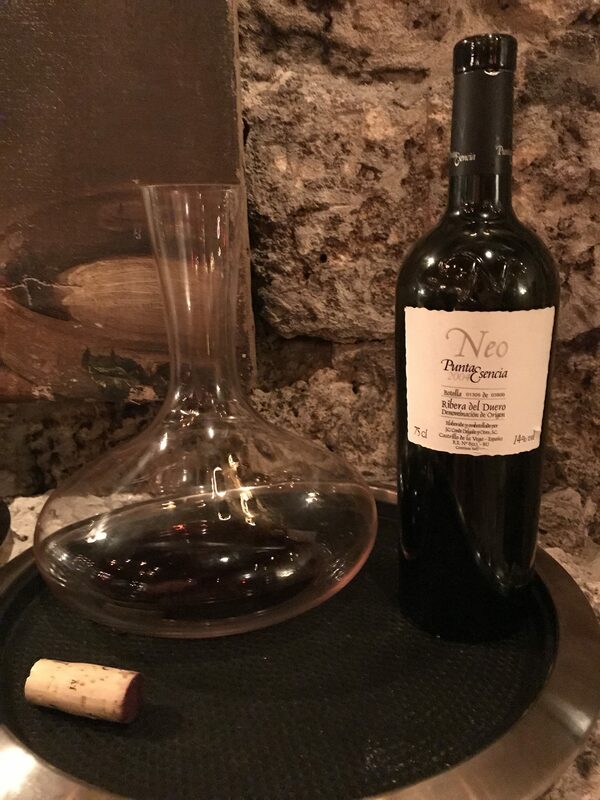 This bottle is usually released 10 years after it’s vintage or sometimes 15 years. This is from the Ribero Del Duero region of Northern Spain. Immediately it has the notes of pure elegance. A bouquet of earthy notes. This is what I find in the tempranillo grape. When swirled the cabernet comes out. The legs show the high alcohol but it is not apparent. Unico 2000. 14% alcohol. Cherry Red with hints of sandal wood. On the palate I received ri pe dark berries with cigar. Not tarry but smoked as if from a smoked barrel. Silky finish lasting long to wanting more. No wonder this is priced right as a high commodity. Unico 2003, 14% alcohol. Similar in Cherry color but more sweetness on the nose. Only 3 years younger but very full bodied. A bite more open with hints of mint opening your palette. The same soft finish but a bit lighter going down. The preceding bottles were of less popularity but still at a high demand. Good thing we found these bottles now than 10 years from now when they will be impossible to locate. Neo Punta Esencia 2004. 100% tempranillo. 14% Alcohol. Powerful out of the bottle. A ruby color with the dark fruits. Ripe black berries and complexity when swirling in the mouth. Concentrated tempranillo. That I say as a compliment as the tempranillo grape from Spain is one of the most elegant the world has seen. It is distinctive of a high quality Riberto Del Duero. Aaltos PS 2000. 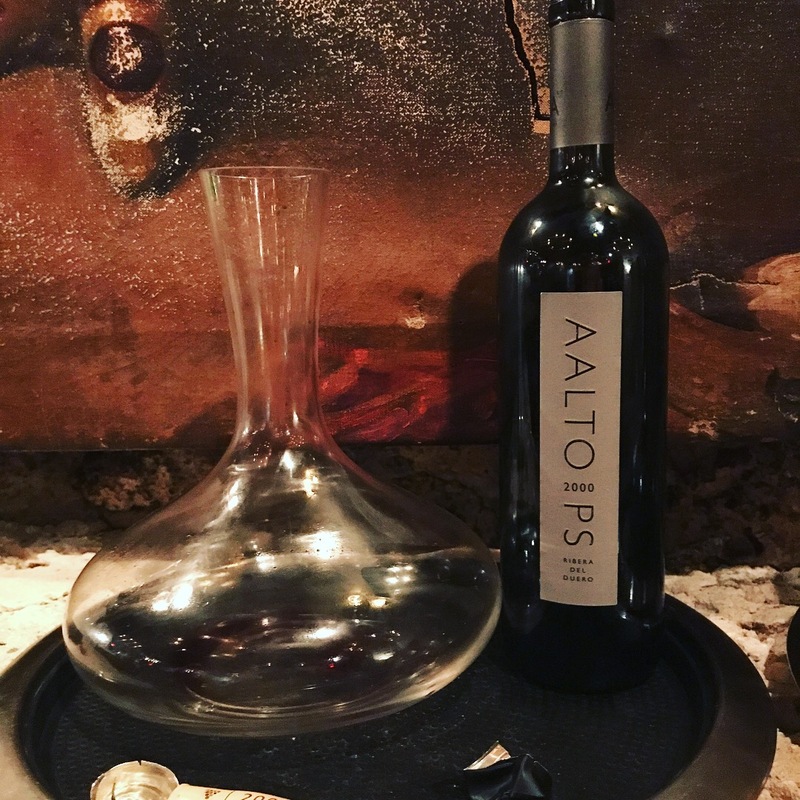 100% tempranillo. A Small production of 400 cases. A dark ruby. The nose had the old world complexity. Light earthiness and sandal wood. Hints of cigar box and dark fruits. Stronger finish with structure. Excellent!!! It can age 10 more years. All of these bottles, under the proper conditions can age 15+ years. We thank you for reading this far and enjoying our experiences with WineClubMiami.